There are a lot of sitcoms coming to an end in 2019 - from Broad City to Unbreakable Kimmy Schmidt and also to You're the Worst. 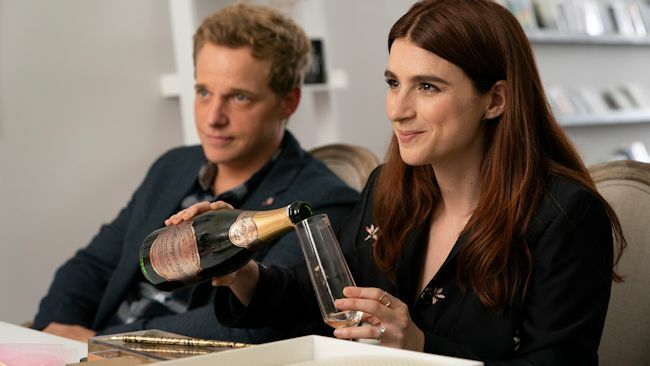 Today, I'll be spotlighting the final season of FXX's You're the Worst, which is proving to be an incredibly strong one as the sitcom reaches its conclusion. You're the Worst has been a bit of a quiet favorite over its five season run - it never attracted the amount of viewers of a show like It's Always Sunny in Philadelphia, but those who were on its wavelength were incredibly passionate about it, particularly in the show's strong first and second seasons. The series was an incredibly funny but also heartfelt look at what it's like to be in a relationship when you're kind of broken - and it got a lot more real in its second season, when it revealed one of its central characters of its main couple, Gretchen, suffers from depression. The second season was one of the best TV seasons of the 2010s - funny, heartfelt and intricately written. The show hasn't quite reached those heights since - the third season attempted to look at Jimmy in a similar way that the second looked at Gretchen, but it never quite felt as vital as that season, never quite reaching the level of depth that Gretchen's arc did. In Season 4, the show's couple spent most of the time broken up, which felt like something the show needed to do but also made the show feel a bit split and scattered, struggling to find a central focus as strong as Jimmy and Gretchen's relationship. Now, though, in its final season, You're the Worst is doing an excellent job of bringing everything to a conclusion, and it's doing it by remembering its characters depths and allowing them to be as real and funny as possible. Ultimately, what makes the show such a special one is its willingness to go to places that other shows wouldn't - whether that's in its characters behavior or in the show's format (such as in the premiere, which centers mostly around a fictional story that Jimmy and Gretchen are telling.) It's great to see the show gain its mojo back and once again focus on the depth of its characters, proving that it's a show we'll really miss once its gone. The CW Network has given early renewals to ten of its primetime series for the 2019-2020 season. The series being ordered for the 2019-2020 broadcast year include second seasons of The CW's freshman hits Charmed and Legacies, as well as new seasons of Arrow (Season 8), Black Lightning (Season 3), DC's Legends of Tomorrow (Season 5), Dynasty (Season 3), The Flash (Season 6), Riverdale (Season 4), Supergirl (Season 5), and the veteran hit Supernatural (Season 15). Specific premiere dates for each series will be announced at a later time.